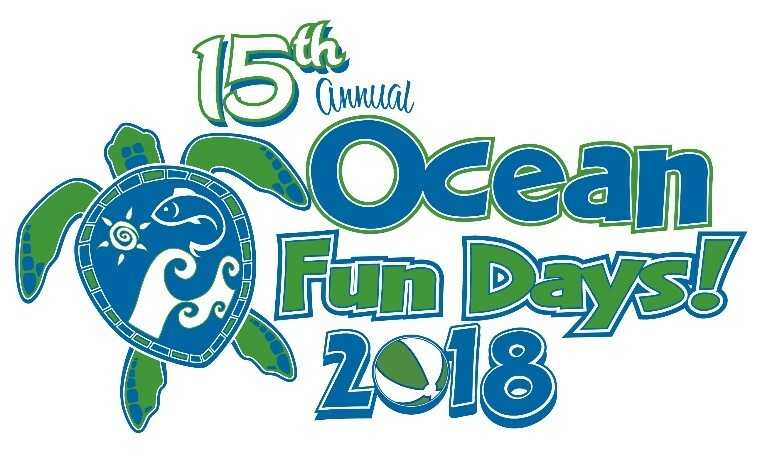 (18/P038) TRENTON – Many exciting and educational activities celebrating New Jersey’s coastal environment – fiddler crab races, casting nets in local bays for fish, and marine-life touch tanks, to name a few – will be offered as part of the 15th annual Ocean Fun Days this weekend. Events will be held Saturday, May 19 at Island Beach State Park in Ocean County, and Sunday, May 20, at the Sandy Hook unit of the Gateway National Recreation Area in Monmouth County. Activities are scheduled from 11 a.m. to 3 p.m. both days. The Saturday events will be based at Island Beach State Park’s Ocean Swimming Area 1, about four miles south of the park’s main entrance. The Sunday events will be based at the New Jersey Sea Grant Consortium’s headquarters in the Fort Hancock section of Sandy Hook, about four miles north of the park entrance. Parking and admission are free at both locations. Shuttle bus service will be provided from parking areas to event locations. The events will be held rain or shine. 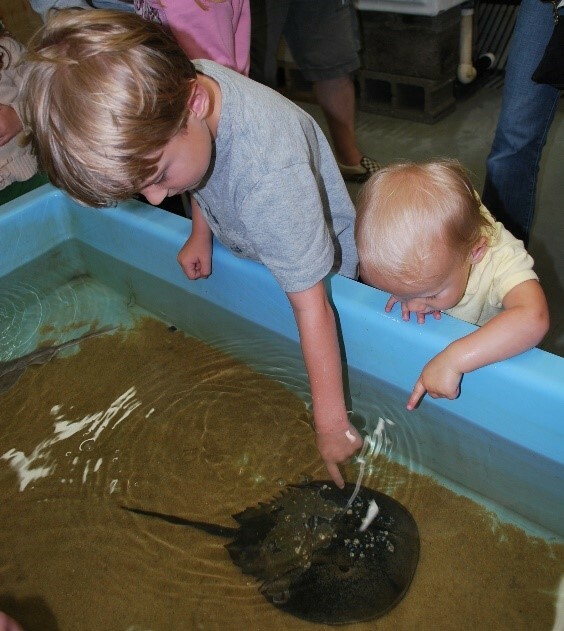 Activities at both locations include seining, which is the use of hand nets to catch fish and other aquatic life, coast-themed crafts, an energy scavenger hunt, youth fishing clinics, face painting, marine-life touch tanks and games. At Island Beach State Park, new events this year include dune-grass planting and a program allowing visitors to clean up marine debris and learn from park staff about the threats plastic pollution poses to marine life and coastal environments. Visitors may also register for workshops including kayak and surfing demonstrations, seining the bay for fish and other aquatic life, and shorebird watching. At Sandy Hook, the New Jersey Sea Grant Consortium will hold its popular fiddler crab races. Visitors can also participate in a Rip Currents vs. Sharks trivia game to learn about ocean hazards and beach safety. Author Don Walsh will read from his book “Teach the Beach,” and Kevin Murray of Sandy Hook’s Kayak and Sup Rentals will share tips about paddle-boarding and kayaking. The National Oceanic and Atmospheric Administration’s James J. Howard fisheries lab will be open to the public as will World War I and World War II sites throughout the park, including Battery Gunnison and History House. Military boats and vehicles will also be on display. For more information and directions, click the logo above or click here. Island Beach State Park is one of the few remaining undeveloped barrier beaches on the north Atlantic coast, protecting some 3,000 acres of beaches, dunes, maritime forests, freshwater wetlands and tidal marshes. It is home to the state’s largest osprey colony, as well as peregrine falcons, wading birds, shorebirds, waterfowl and songbirds. Ocean Fun Days is a project of New Jersey Natural Gas in partnership with the New Jersey Sea Grant Consortium, the Department of Environmental Protection and its Division of Parks and Forestry, the National Park Service, the National Oceanic and Atmospheric Administration and the Asbury Park Press. The New Jersey Sea Grant Consortium is an affiliation of colleges, universities and other groups that works to advance knowledge and stewardship of New Jersey’s marine and coastal environment through innovative research, education and outreach programs.